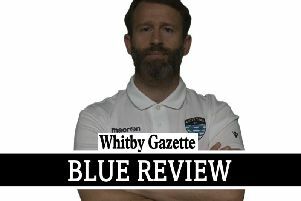 Whitby Town strengthened their case for a play-off place, and took their unbeaten run to nine games, with a 2-0 win over Corby Town. Goals either side of half-time from Dale Hopson and Luke Bythway ensured all three points headed back to North Yorkshire. Chris Hardy was forced into removing Danny McWilliams, thanks to injury, and replaced him with Lee Bullock, before moving Anthony Bell to left-back. Despite the game being tight, Hardy's side looked the most dangerous, and doubled their lead on 64 minutes.